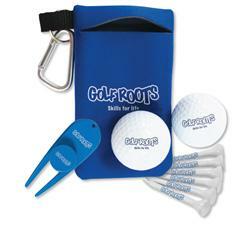 Kit includes multimedia keeper, 2 golf balls, six 2-1/8” golf tees, and a divot ball marker. A great golf tournament gift. 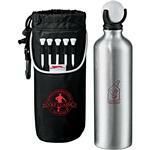 Price Includes One-color imprint on EVERY item in the kit. Production Times Available: 12-16 working days standard. PMS color matching not available.